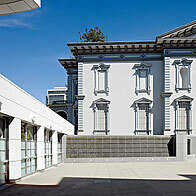 The compositional strategy of the Crocker Museum of Art addition and renovation was to establish a new and unique iconic presence for the addition, while framing the existing complex in a visual and physical dynamic, creating a collaged image for both the new and historic structures. The new addition is rotated on a due north/south axis, disengaging it from the existing orthogonal street grid and Crocker complex, which reinforces the contrapuntal siting and massing. The ground floor contains a new entry off O Street, which simultaneously accesses the museum store, lobby, reception desk, double height multi-use gallery/reception space which opens to the new courtyard, café, public meeting rooms, auditorium, loading dock and service support spaces. Also accessible from the ground floor is a new connection/circulation space to the Herold Wing, which interconnects service and public access between the new addition and the existing buildings. The connection, which occurs on all three floors, re-facades the Herold Wing from the new courtyard, forming a consistent architectural image for the space. 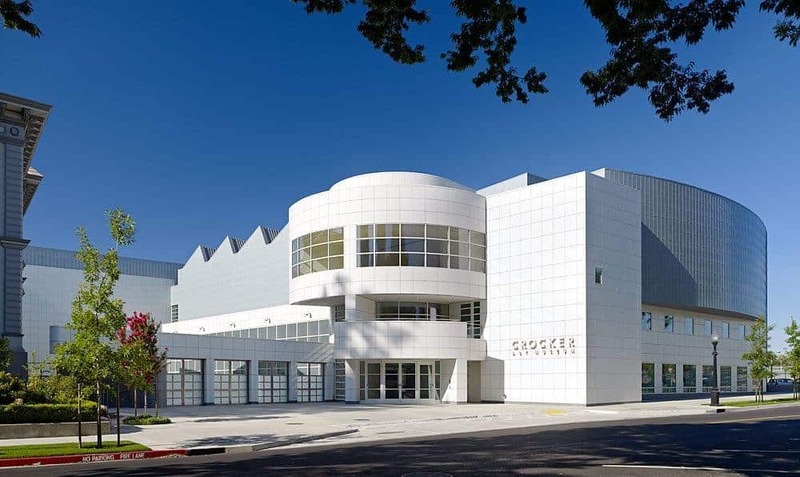 The second floor is occupied by the administrative staff offices, art storage spaces with potential public viewing and access, service spaces and the second floor connection to the Herold Wing. 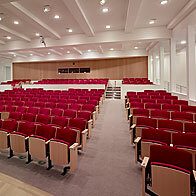 This connection also facilitates service to the Crocker Art Gallery Ballroom for events and catered functions. The third floor is occupied by the new suite of temporary and changing exhibition galleries that afford maximum flexibility and installation variation. The new galleries are directly connected to the existing Art Gallery building, allowing for a continuous circulation sequence from the new to the existing, both vertically and horizontally, thus totally integrating the entire complex. Associate Architect: HMR Architects, Inc.